Hayao Miyazaki’s “Spirited Away” (2001, 2 hours, 5 minutes) will be screened on Friday, June 1, at 11:55 p.m. at Landmark’s Nuart Theatre, 11272 Santa Monica Blvd., West Los Angeles. This Academy Award-winning masterpiece helped redefine the possibilities of animation for American audiences and a generation of new filmmakers. Wandering through an abandoned carnival site, 10-year-old Chihiro is separated from her parents and stumbles into a dream-like spirit world where she is put to work in a bathhouse for the gods, a place where all kinds of nonhuman beings come to refresh, relax and recharge. Here she encounters a vast menagerie of impossibly inventive characters — shape-shifting phantoms and spirits, some friendly, some less so — and must find the inner strength to outsmart her captors and return to her family. 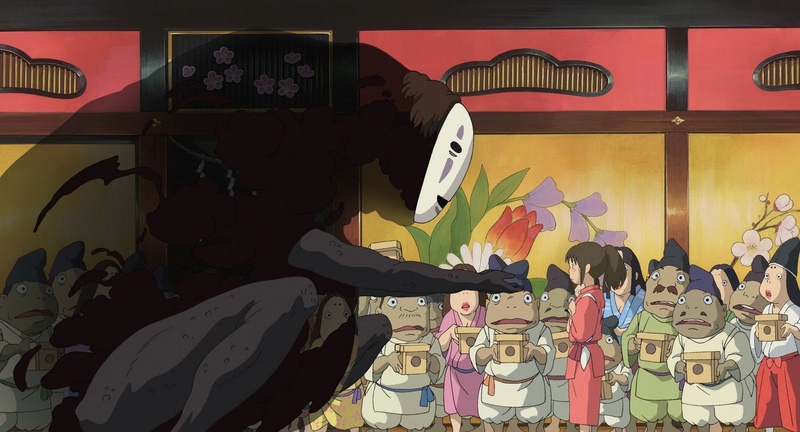 Combining Japanese mythology with “Through the Looking Glass”-type whimsy, “Spirited Away” cemented Miyazaki’s reputation as an icon of inspired animation and wondrous, lyrical storytelling. In Japanese with English subtitles. For more information, call (310) 473-8530 or visit www.landmarktheatres.com/los-angeles/nuart-theatre.